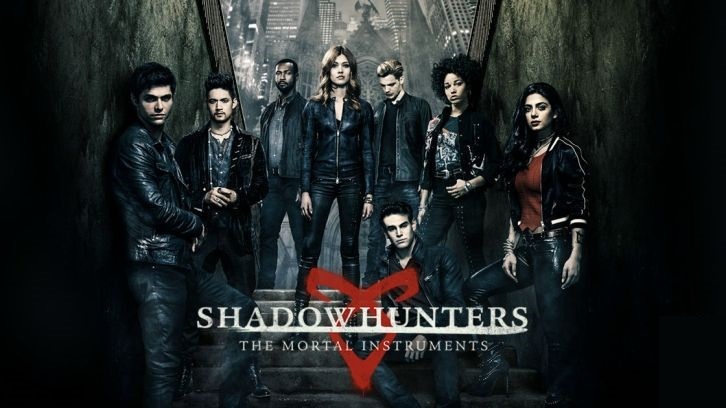 This week on Shadowhunters, after separating Clary and Jonathan fails, the gang goes out to fight demons on Halloween. Simon introduces his sister to the Shadow world and she quickly notices something going on between Simon and Izzy. The pair almost kisses but is interrupted. Meanwhile, Clary gets knocked out and Jonathan’s influence takes over. She attacks Jace and kills a fairy who was about to kill Jonathan. Maia asks Jordan to be her beta. Alec talks to Asmodeus who tells him he’ll restore Magnus’ powers if Alec breaks his heart. Alec breaks up with Magnus, who is left devastated. Asmodeus frees himself from Edom and goes looking for Magnus. 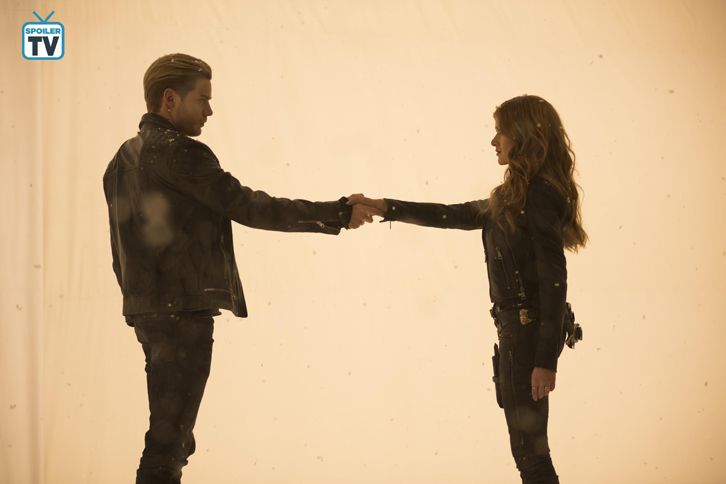 Not surprising: I knew something would interfere with separating Clary and Jonathan. It was too easy last week. Evil!Clary is clearly obsessed with keeping Jonathan safe, kind of the way he was about Clary. I guess that means that his possessiveness is due to his demon side and not his personality. But I have to wonder when they retry separating them again with a heavier dose of Heavenly Fire, how much of Jonathan will be left when they remove his demon side? It’s such an integral part of him (like Clary and Jace’s angel side) that I’m not sure he’ll be able to survive the process. Will they? Won’t they? The writers have been building up to something with Izzy and Simon for a while now. To be honest, I’m surprised how long it’s taken them. With so few episodes left, I’m worried their relationship won’t have the maturity to handle the events of the big finale. Yes, I know the writers didn’t know they were going to get canceled. They came close to a kiss this week but were rudely interrupted. But I’m sure we’ll get a lip lock next week (we better). Evil plan: At first I didn’t understand what Asmodeus’ plan was with Magnus and Alec but it became painfully clear at the end of this episode. With Magnus’ heartbroken, Asmodeus can just swoop in as his savior, restore his powers (supposedly because he loves his son) and win him over to his side. I like to think that Magnus knows his dad well enough to know nothing comes without strings but I do think he’ll be tempted. But I understand why Alec did it. For one, he didn’t know Asmodeus could get out of Edom. But also, what Magnus said last week really affected him. And Asmodeus may not have been entirely wrong, it’s possible that Magnus would’ve ended up resenting Alec for his mortality. But where do they go from here? This won’t last: So, Jordan is clearly still in love with Maia but I’m not sure if the feeling is mutual. Sure, she cares a lot about him but her breakup with Simon is still very fresh. Either way, I don’t see them staying just friends very long. I have no doubt that Jordan will confess his feelings for her soon. But I do like the idea of them leading the pack, even if I wasn’t aware there was still a pack left.